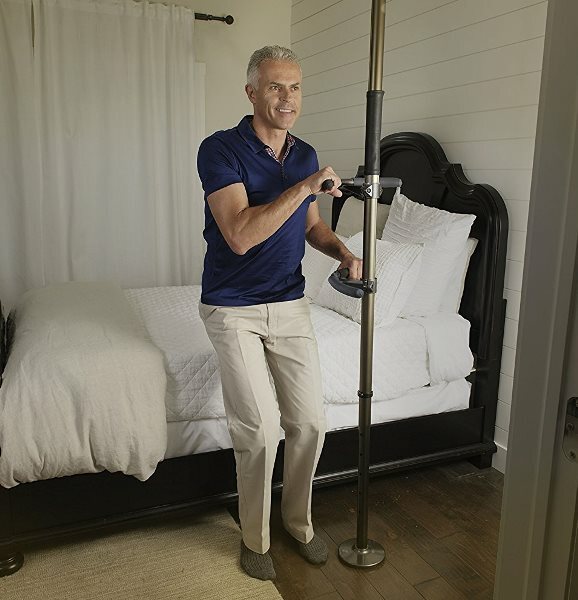 The Signature Life Sure Stand Pole by Standers is a great way to add stability and support to any room in the house. 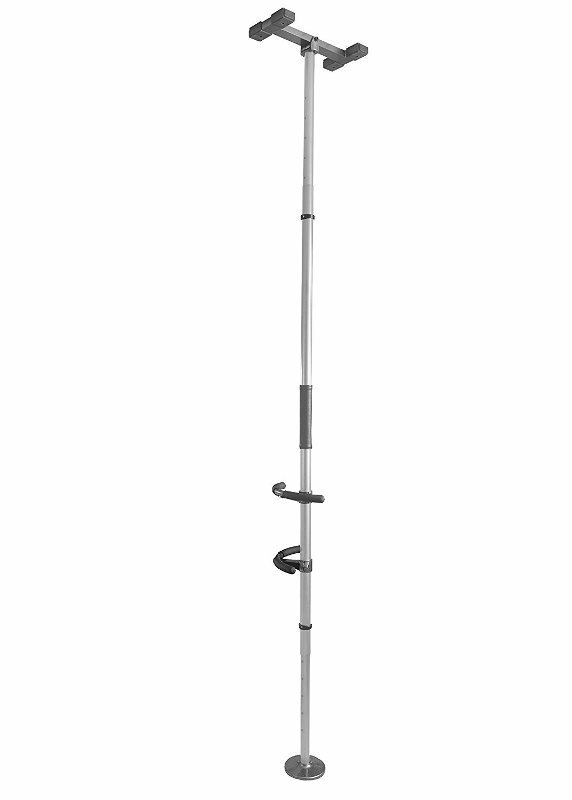 Coming in two colors, this attractive tension mounted support pole is as aesthetically pleasing as it is functional. 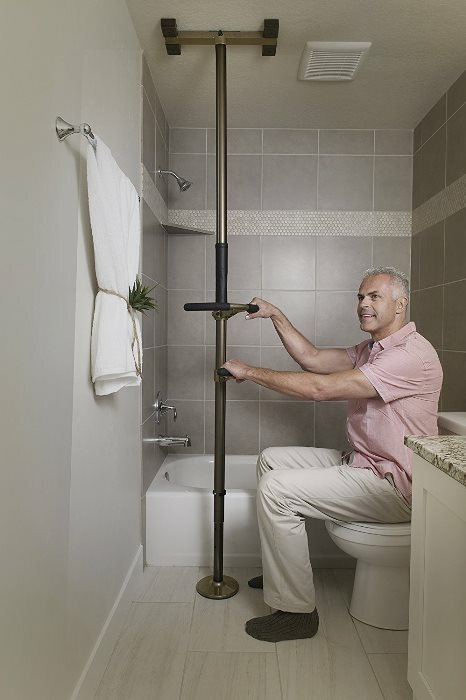 Place the Signature Life Sure Stand Pole in a bathroom, bedroom, or any room where additional mobility might be needed to ease movement and transfers for users with limited mobility. 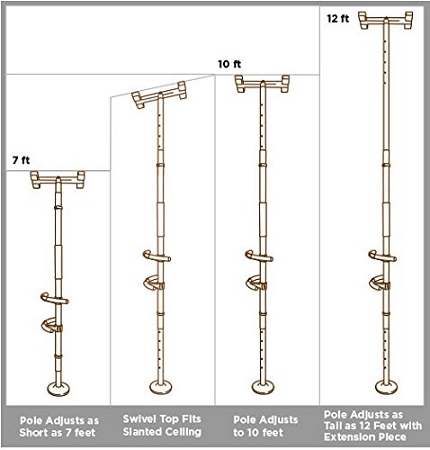 The Signature Life Sure Stand Pole by Standers works with both flat and slanted ceilings, and accommodates ceiling heights of 7 to 10 feet, with an available extension piece for ceilings 10 to 12 feet high. 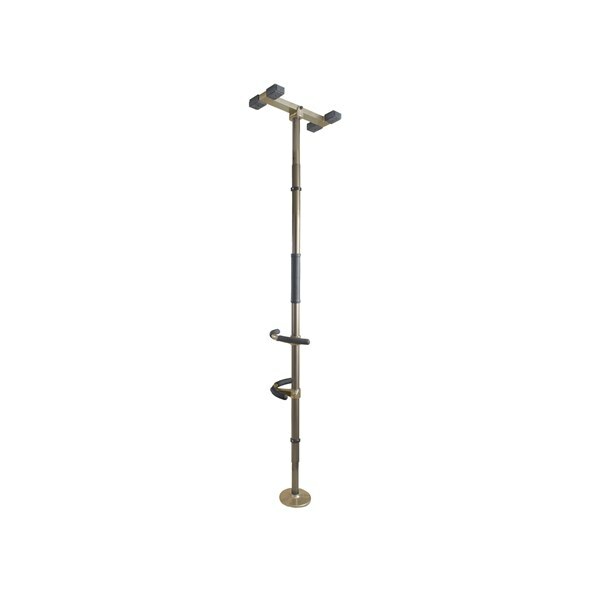 This durable, sturdy pole is made of rust-resistant aluminum coated in a durable anodized finish and comes in two sophisticated colors that will coordinate beautifully with home decor. 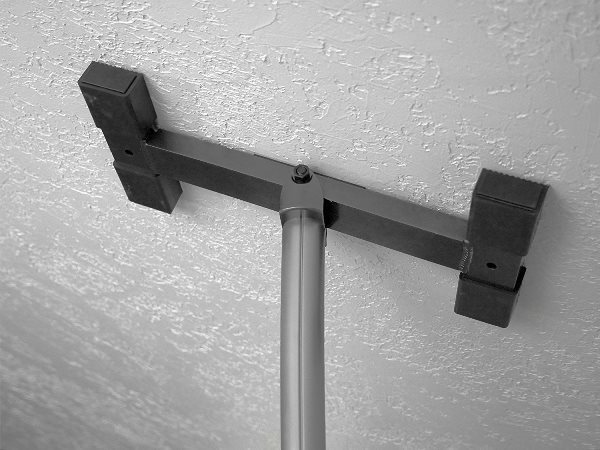 The Sure Stand Pole is tension mount, so there is no need to drill into the ceiling, and no additional tools are required for assembly or installation. 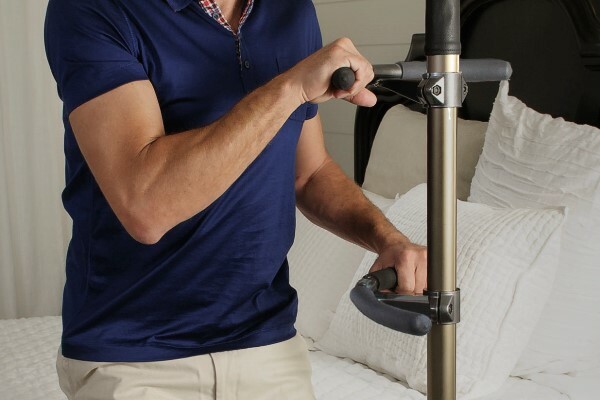 The Sure Stand Pole includes two independently adjustable hand grips that provide additional support during transfers. Dimensions: 18.5 inches long, 7 inches wide, 84 inches high. Fits ceiling heights: From 7-10 feet. Extension piece sold separately for 12 foot ceilings. 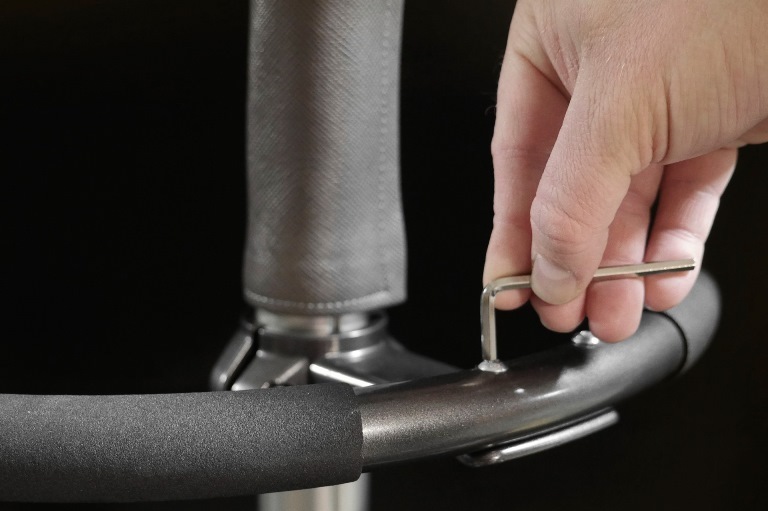 Customize: Handles can be placed anywhere 360 degrees on the pole and at most heights.